For their Monday Funday, the Glow Centre for Sexual and Gender Diversity organized a day of action on Jan. 21 to generate awareness about the changes made by the Ford government regarding the Ontario Student Assistance Program (OSAP) and show their support in fighting them. On Jan. 17, Minister of Training, Colleges, and Universities, Merrilee Fullerton, announced that the Ontario government will give out more loans than grants in the next academic year and there will be a 10 per cent reduction in tuition fees. The event started with volunteers discussing the three policies of Glow — inclusion, safe space, and confidentiality. This was followed by the introduction of all present. “I just know [that] a lot of people are in trouble,” Simran Parmar, Feds presidental candidate from Team Gold said. Advocacy Director of Glow, Alex McEwin, made and presented slides, giving all necessary and relevant information about the announcements. After discussing OSAP, participants were told about the Members of Provincial Parliament (MPP) they can contact, like Lisa Thompson, Doug Ford, Mike Harris Jr., and many more. They were also told about the various resources they can use to fight these changes. These resources included petitions and protests organized across Ontario. To challenge these decisions, students can also participate in a survey designed by the Ontario Undergraduate Student Alliance (OUSA), through which they can share their own stories and have them sent to the government. When asked why he decided to organize this event, McEwin said the news came as a shock. McEwin said that the slides will be posted on the event page on Facebook for everyone to see. After the presentation was over, participants were given letter and email templates to follow and write to the government. “I am hopeful that these letters will make a difference,” McEwin said. A petition was also passed around for everyone to sign. Throughout the event, students expressed their opinions on the topic. While in conversation, Parmar said, “One thing politicians need to understand is that a lot of times when someone comes from a high-income family, it does not mean that they are supported by the family. 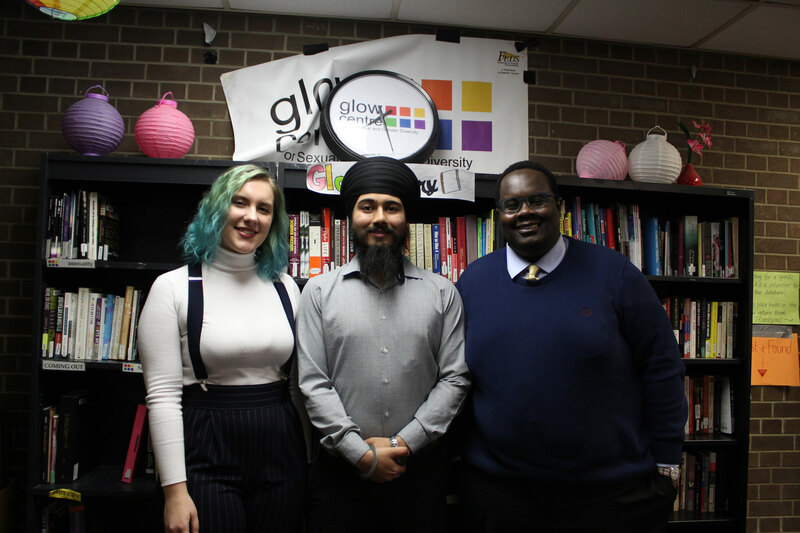 Amanda Fitzpatrick, coordinator of Glow and VP of student life and Joshua Mbandi, VP of operations and finance for Team Gold were also present to show their support. How much are you lovin’ it?